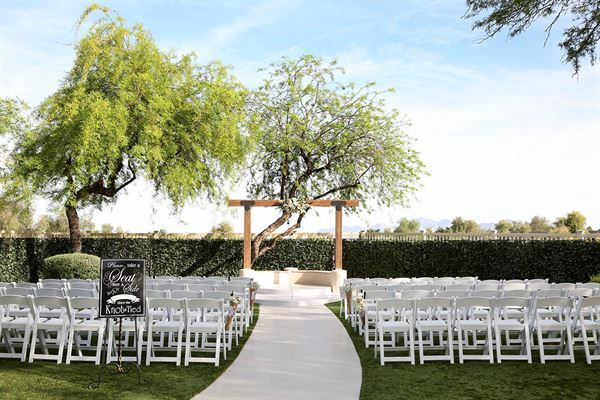 Few West Valley wedding venues capture the romantic beauty of the desert quite like Wedgewood Weddings Palm Valley. Desert, mountain, and golf course views remain the backdrop throughout the entire evening of your wedding. Even when you come indoors, our floor-to-ceiling windows and accordion glass door wall allow the outdoors in. Allow your dream desert wedding to come to life, all at an affordable price. As with all Wedgewood Wedding properties, our ValSerVenience® wedding professionals are dedicated to providing exceptional services for engaged couples searching for the right wedding venue at the right price. Wedding location seekers in the West Valley can expect all of the perks when becoming a Wedgewood couple, such as stress-free wedding planning and detail management, one-on-one highly experienced and ValSerVenience® wedding consultation support, and access to exclusive preferred vendors.